I have blue sparkles under my nails! It's awfully fun. 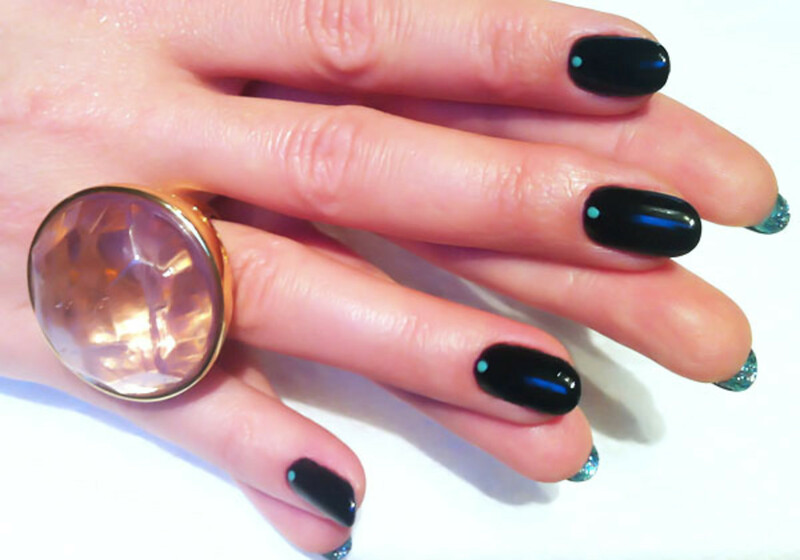 Meet my new mani, a twist on Adele&apos;s Louboutin manicure. 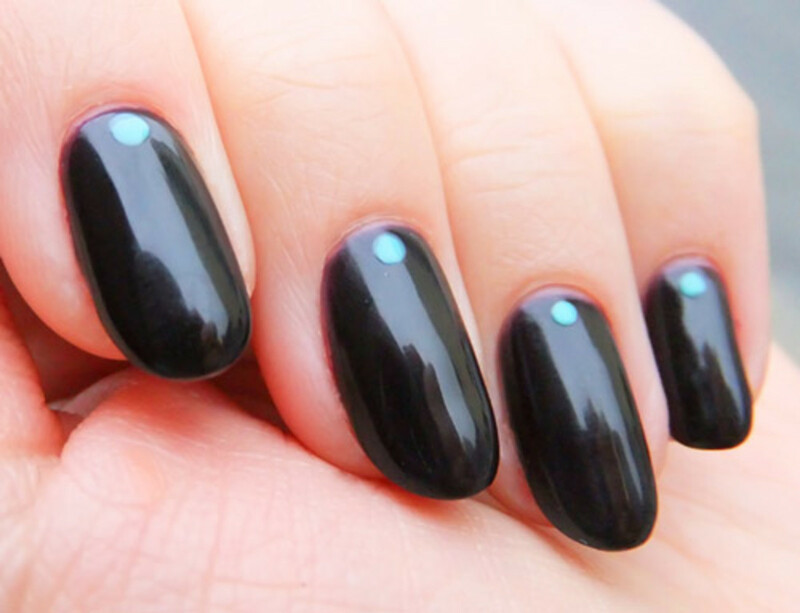 But before we get into details, how did my first OPI GelColor no-chip manicure hold up? Four weeks after application, the shiny colour was still chip-free when I had it soaked off. I had more layers than usual: two layers of base coat (GelColor is thinner than Axxium; it seems to need two coats of base for a smooth surface so the colour goes on evenly), and three coats of Cajun Shrimp. Rather than soak in a bowl of acetone, this time we used the foil method with OPI foil wraps, pre-cut sections of foil with a square cotton pad in the centre. 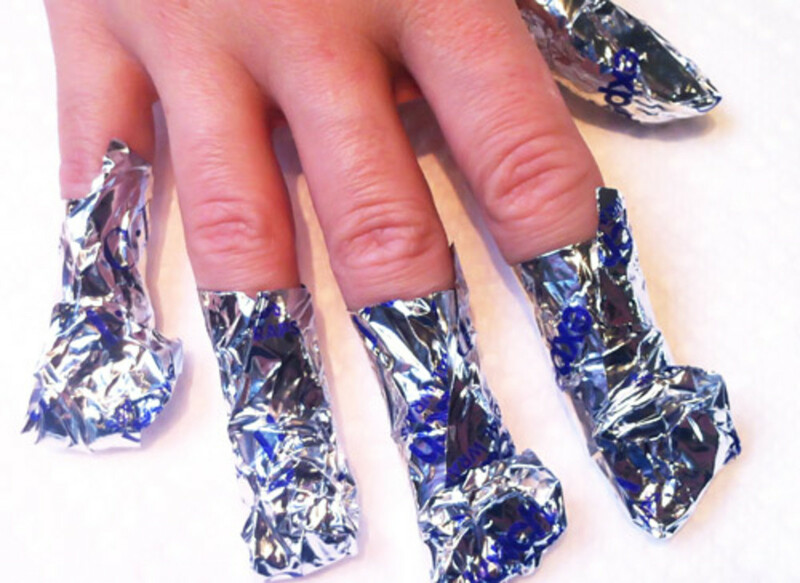 Tips owner Leeanne Colley likes them because they&apos;re quick to apply -- soak cotton middle with acetone and wrap fingertips -- and they leave clients free to have their brows waxed or a pedicure done while waiting for the gel to break down. Takes about as long as a bowl soak, but it was worth being able to drink my Starbucks Veranda blend blonde roast (definitely less bitter than the usual brew) during the process. Doing the nail underside is a little messy, very tricky with a nail polish brush. Tip: Leeanne used a small short-tipped brush, like the wee brush that comes with the Maybelline New York EyeStudio Lasting Drama Gel Liner, then cleaned up skin with a Q-Tip dipped in remover. And once the polish dries, anything still left on your skin will just scrape off without wrecking what&apos;s on your nails. 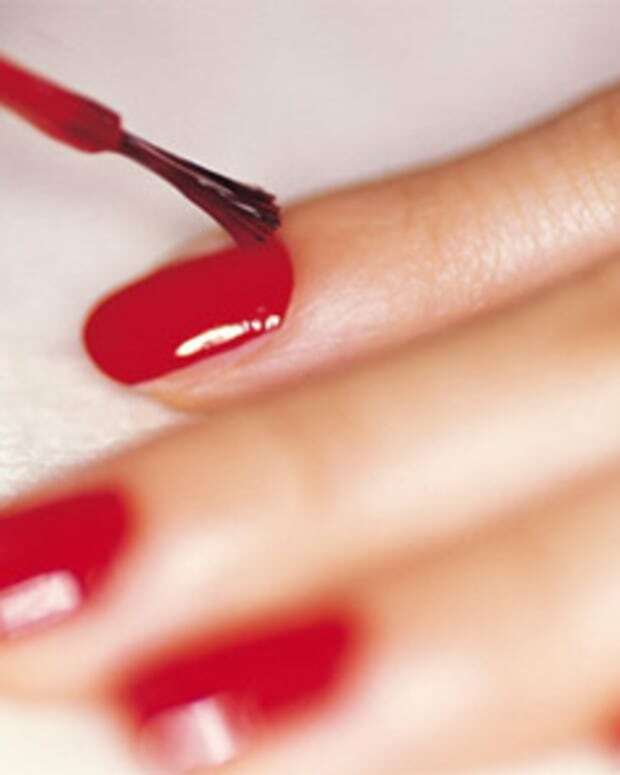 Oh hey -- remember this red-underside mani by Leeanne for beauty editor Tania Kwong inglow Magazine&apos;s holiday 2010 issue? What do you think? 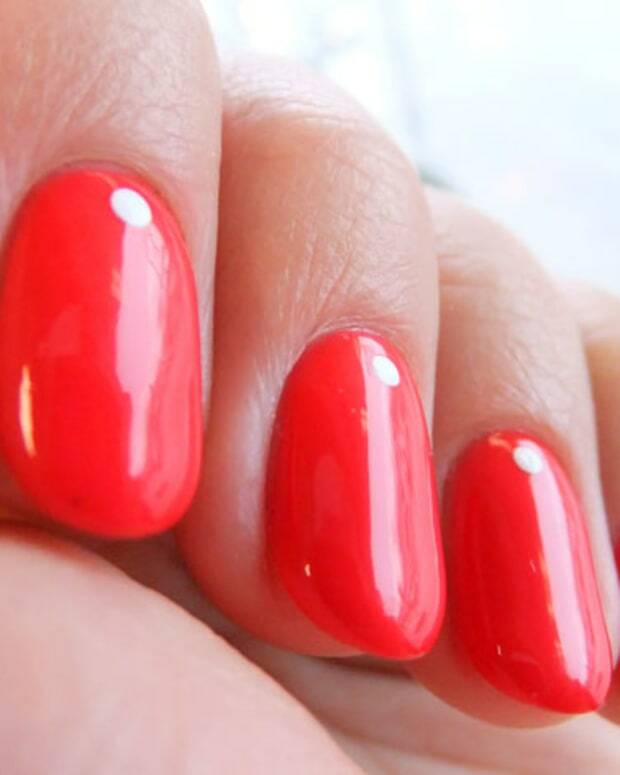 Will you try this mani with red? Or turquoise blue and glitter? Or some other fabulous shade? Manicure and top two photos by Leeanne Colley, Tips Nail Bar & Spa.